Who doesn’t become happier at the sight of rainbows? As a child, rainbows were an epitome of joy and youthful happiness — it was particularly uncommon to see one, it required the right elements of sun and rain in weather. To be able to see one was the stuff of fairy tales, we were always promised a pot of gold at the end of it. Rainbow flags now signify the LGBT community, but just because you’re not LGBT doesn’t mean you can’t like rainbows too. What’s not to like — splashes of colors always make things more inspiring and mesmerizing. 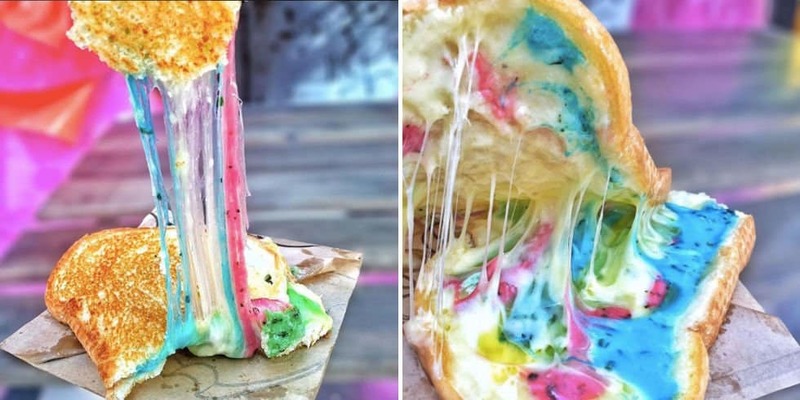 From rainbow pizzas to rainbow makeup, here are 10 amazing rainbow things we found on the internet. The Rainbow Bagel from The Bagel Store in Brooklyn, New York looks more like Play-Doh than actual food–but it tastes really good, too! Scott Rosillo, owner of The Bagel Store, shares that he wanted to create the world’s most beautiful bagel — it requires extensive time and labor to create one. Particularly, the store can only create 100 of them in 5 hours. 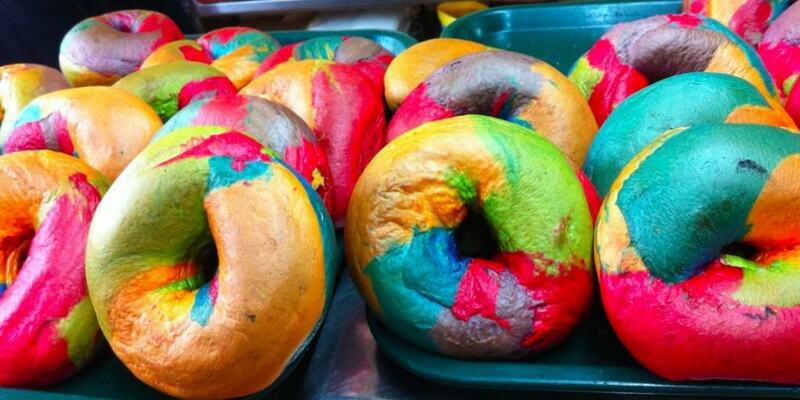 These multi-colored bagels can be ordered and shipped nationwide for $3.95, but there’s a huge waiting list due to public demand. 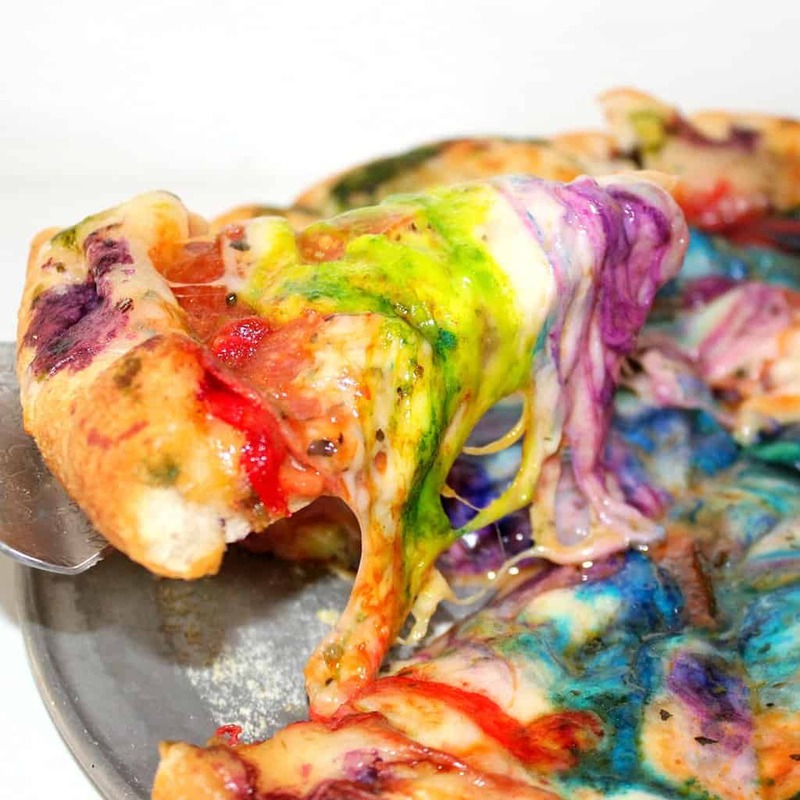 Rainbow Pizza is created specially by a food blogger named Ami of Oh, Bite It. It’s a pepperoni pizza with extra mozzarella on top, colored with various rainbow dyes. Looks too good to eat! So everything is possible nowadays, and that includes rainbow grilled cheese! Sold at Kala Toast, Hong Kong, you can get these mesmerizing treats for $42 HKD (US$5.50)! The cheese aren’t just colored either, they are in various flavors: Blue is lavender-flavored, green is basil, red is tomato and the yellow is a combination of cheeses including cheddar, mozzarella and emmental. 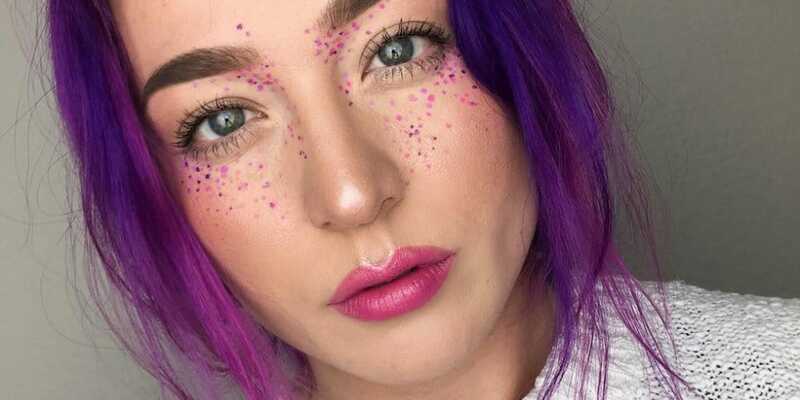 Fake freckles have appeared in numerous cheeks for the sake of beauty lately, and it’s only a matter of time before rainbow freckles make their way to trend as well. Rainbow freckles add color to bare faces. Dazzle everyone with some pink, blue, purple and even gold or silver freckles on your face! You can achieve the look by using a large pore sponge and lightly dabbing a liquid color lipstick on your face. 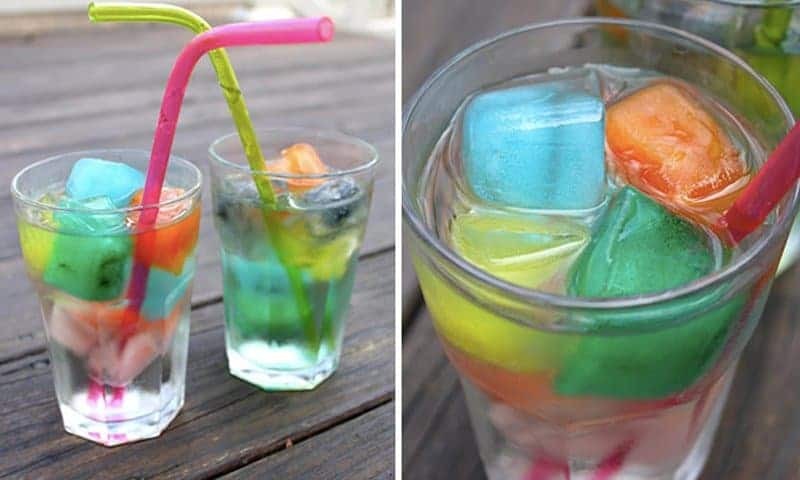 Make your drinks more exciting by making DIY rainbow ice cubes. Just add food coloring into your cube tray and you’re good to go! 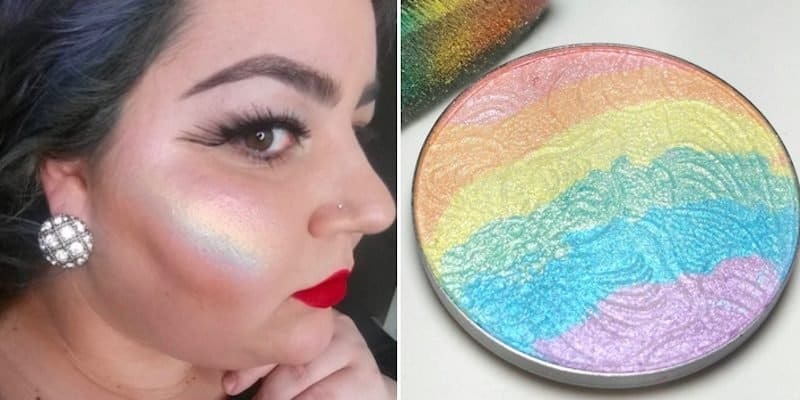 This rainbow highlighter has drove all makeup fanatics crazy when this was shared on Reddit. Everyone was on their heels trying to find it, and turns out the highlighter is the real deal and can be purchased at Bitter Lace Beauty, who sells their products on Etsy. The Rainbow palette ‘Prism’ is currently sold out but promised it will be available soon. You can purchase the pretty highlighter for $22. 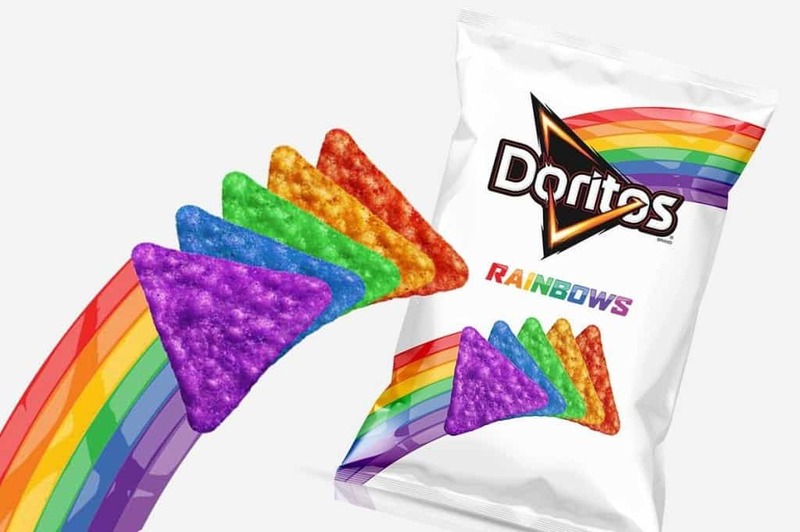 And we thought Doritos couldn’t get any better–but it came up with rainbow Doritos! In 2015, the junk food brand teamed up with ‘It Gets Better Project’ and launched limited edition rainbow chips to support the LGBT community. $10 is donated for every purchase of rainbow Doritos. 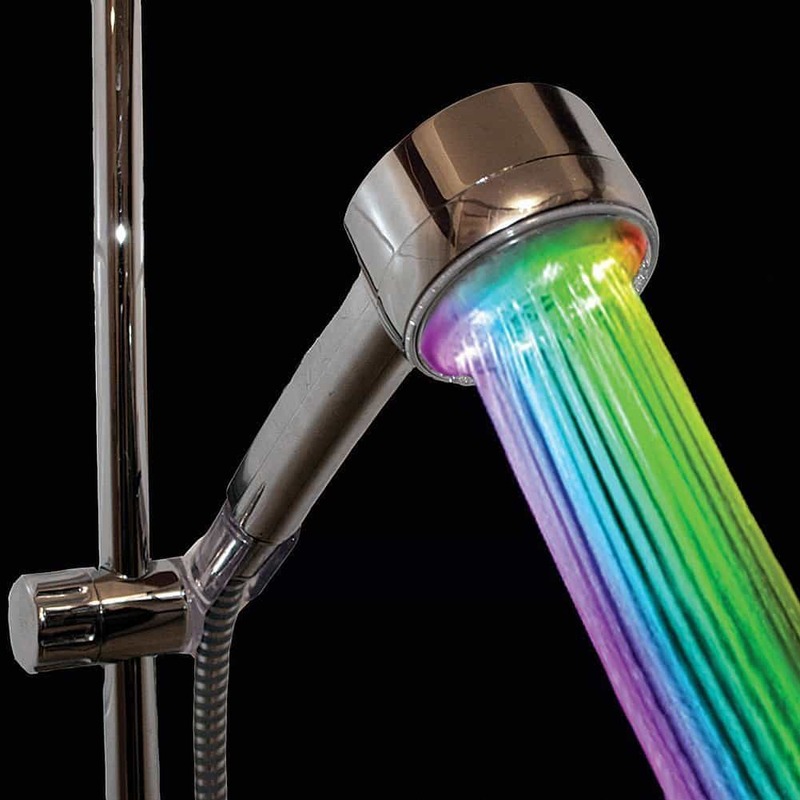 Take a rainbow shower! This neat shower system by Sieger Design uses custom lighting so that it pours out a ‘rainbow’ shower, which also includes a cold water fog system. A new trending hairstyle is sure to make you pop out from the crowd. 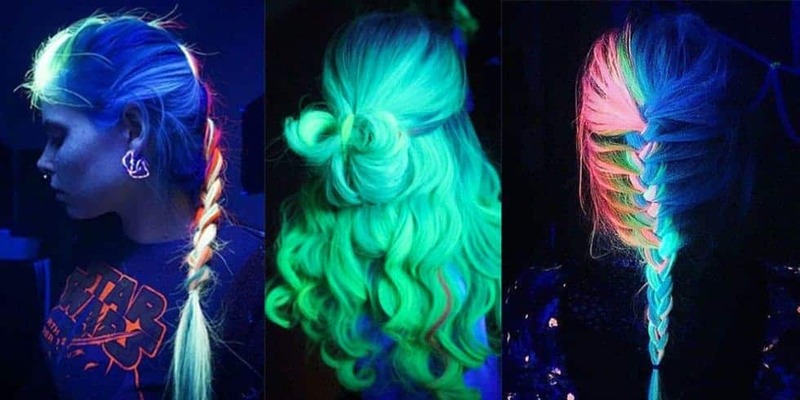 known as ‘glow in the dark hair’ or ‘backlight hair’, girls are experimenting their locks on unusual colors that turn bright when the lights are turned off. 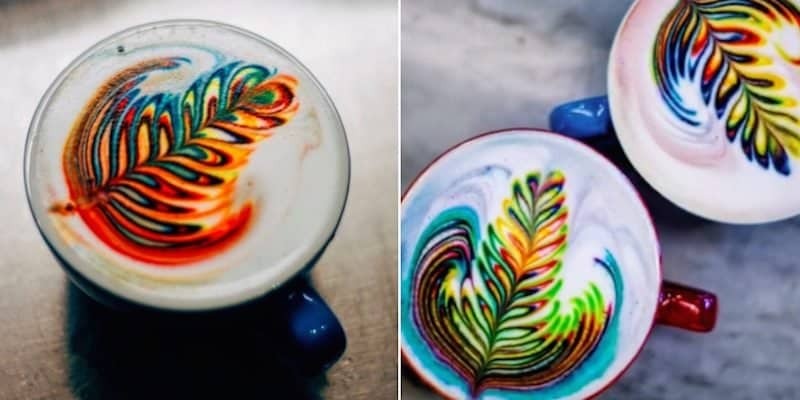 A barista from Las Vegas named Mason Salisbury (IG: @ibrewcoffee) has created a very ethereal looking rainbow coffee using milk, food-coloring and careful pouring. We could stare at it all day and not dare to drink it!